As I loaded up my car for what would be my third early Fall trip to Mundelein and the Seminary, I tried to make the best of what was a rainy morning. Our Scout Troop was indeed heading back to St. Mary of the Lake, but the weather was far from promising. The idea of a carload of Scouts covered in mud on the trip back was daunting, and I’d already planned to have the Chrysler detailed when I returned home. The drive up from the south suburbs started as expected, somewhat like driving through the middle of an East Asian monsoon. But little miracles still do sometimes happen, and as we passed north of O’Hare Airport we left the cloud banks behind and welcomed the sun. The campus was breathtaking, as we walked the circle drive around to the soccer field, its red brick buildings sharp against the picturesque blue sky contrasted with bright clouds. We arrived in good spirits at the field, where the priests and seminarians were waiting to welcome us to their annual “Fishers of Men” outing, hosted as in past years by the Chicago Archdiocese CCS*. After signing in, our hosts lead us in morning prayer, followed by a Q & A with the boys about life as a seminarian. 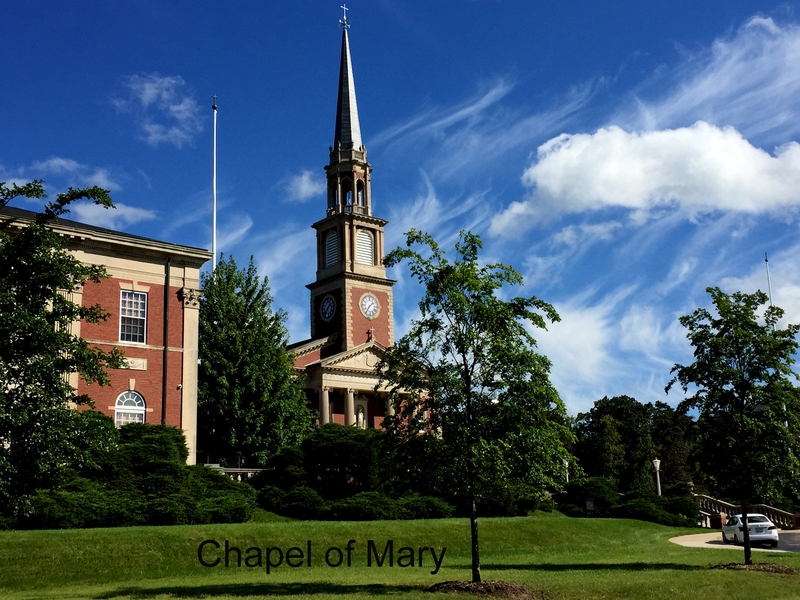 The new theology students at Mundelein confessed that spending the next five or six years there was hard to imagine, but all felt blessed to be a part of the quiet, contemplative campus. It was hard not to envy them just a little, despite the challenging path ahead of these young men. Not surprisingly, most had been Boyscouts in their younger days as well. 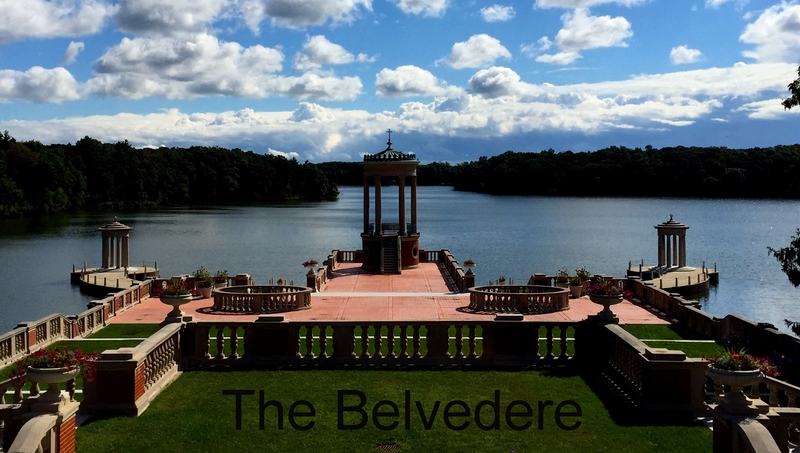 We gathered up our fishing rods and camp chairs, and headed down past the Belvedere to the Lake. This area of campus is a popular spot for professional photographers, and we saw several groups in formal wear, posing before the historic backdrops. I discovered these groups were primarily wedding and Quinceañera parties, with the odd professional model session also in evidence. 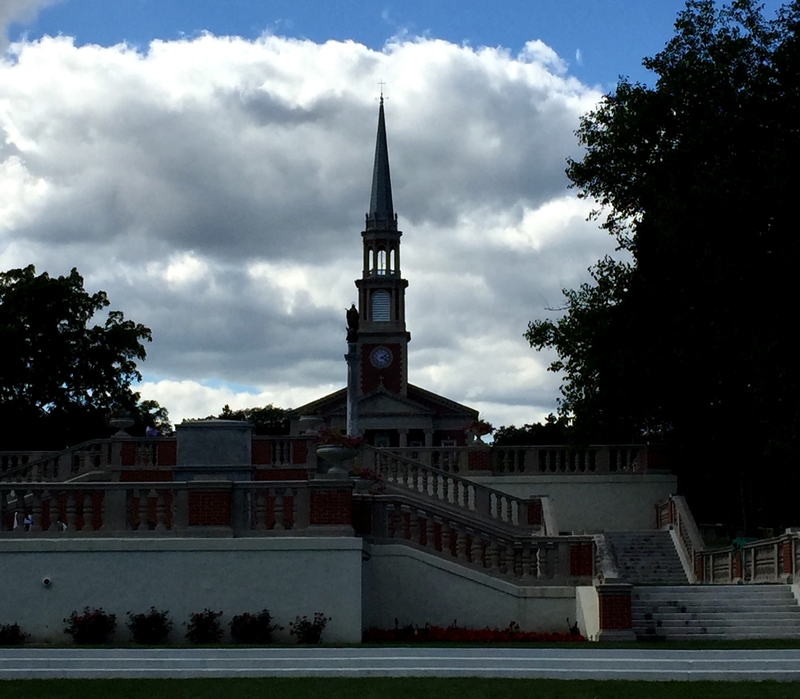 Permission to visit the Seminary for a photo shoot must be secured prior to the planned photo date*. After a morning of moderately successful fishing, and lunch outside near the soccer field, the staff took us on a tour of the campus. My favorite part of our Mundelein outings, we visited the buildings where seminarians lived, studied, and prayed. New to me was the John Paul II Chapel. 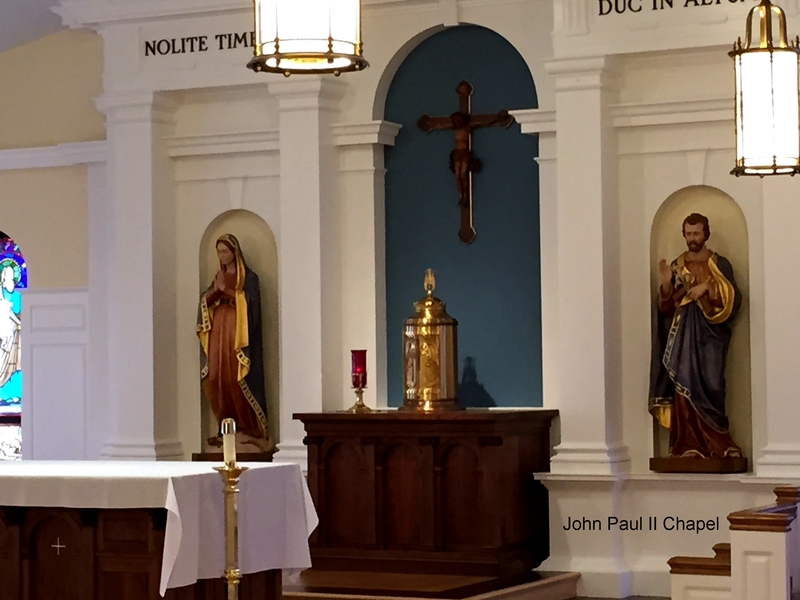 Smaller than the Main Chapel, and closer to the seminarian’s rooms, it is at once more intimate and accessible than the Chapel of Mary. Which is the point: The Presence of Christ near, for adoration or prayer, inspiration or consolation. The very Center of vocational life, as many of those young men expressed to us. The John Paul II Chapel departs from many I’ve visited, in placing the Tabernacle behind the main Alter, in the very center of the Chapel. Like the Tabernacle in the Chapel of Mary, this placement is significant and appropriate, as Christ is the center of our lives and the Mass. The walls of the John Paul II Chapel are adorned with stain glass windows, beautifully imaging several Catholic Saints, with special attention given to those Saints that inspired Pope Saint John Paul II. Most striking, however, is the portrait of the Chapel’s namesake. 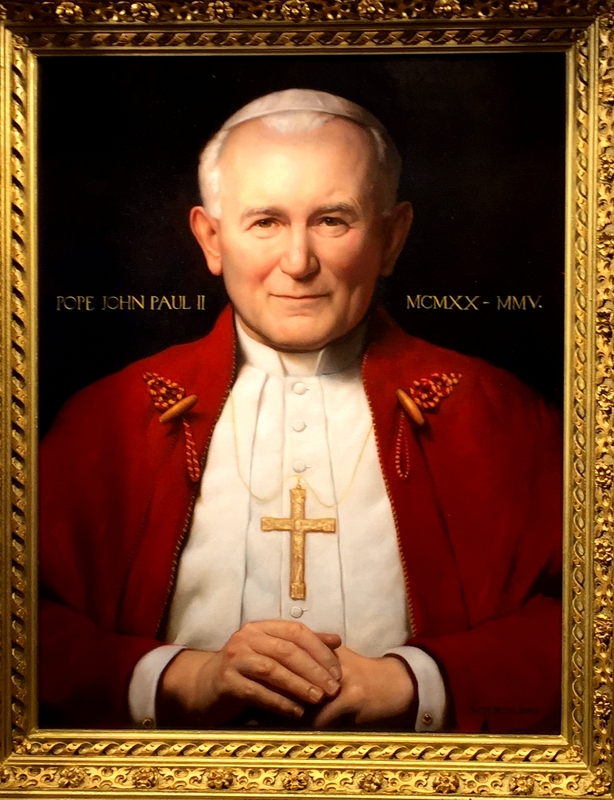 The image of Pope Saint John Paul II is almost three dimensional, and seems to gaze serenely into the soul of all who visit. Pictures of this portrait cannot wholly capture the power of this iconic image. All too soon, we completed our tour of the Seminary, and a few hours later were done fishing for the day. The boys I drove to Mundelein, including my Son, each had their own favorite memories of fish caught and lost, and friendships strengthened. All wanted to make the trip again next year. As for me, it was a successful trip on many levels. I helped the boys experience a taste of seminary life, and they were able to enjoy a day away from video games and electronic apps. I shared the friendship of other Scout leaders, and got to spend some informal time with the priests and seminarians. I was also able to unplug my mind from daily cares, and allow my soul some rest on a sunny day. And I never did have to bother with mud in the back seat of my car. 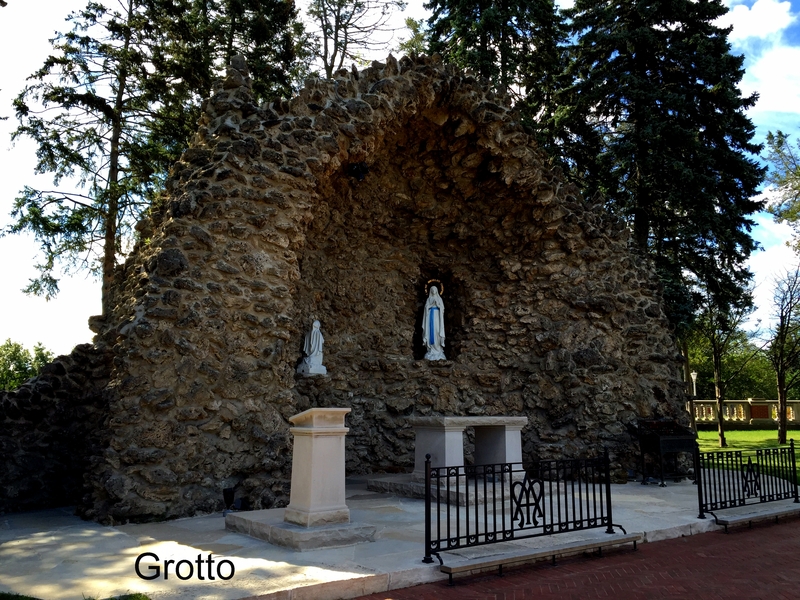 This Post was posted in Religious Travel and tagged ad altari dei, belvedere, boy scouts, boyscouts, catholic, chapel. Bookmark the permalink.